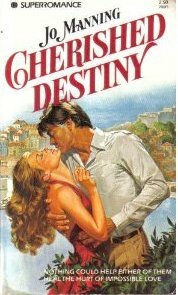 In what year was the first Superromance published? How many Superromances were published that year? 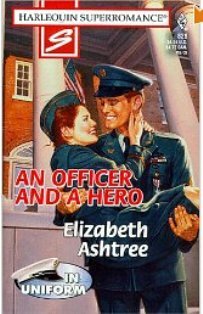 What was the occupation of the very first Superromance hero? And the answers are: 1) a; 2) b; 3) d.
Yes, the very first Superromance hero was a bullfighter. 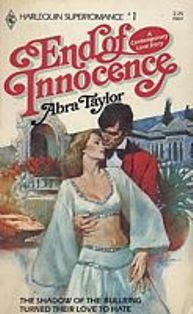 The shout line of that first book, End of Innocence, by Abra Taylor, read “The shadow of the bullring turned their love to hate. “ I don’t know about you, but I was a bit surprised by the hero’s occupation, and that just goes to show how much…well…everything has changed since the 1980s. Our heroes no longer have to be alpha males, our heroines no longer have to be single with no children, and our hair no longer has to be big. As I was looking into the history of Superromance, I was captivated by the evolution of the covers, which is what this blog is really about. You'll have to bear with me on this journey through time, because this blog has a lot of pictures and requires a lot of scrolling. So let us begin with 1982. 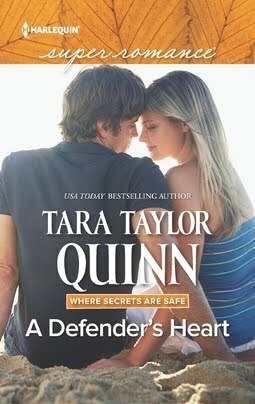 As you can see, the cover style is very similar to the epic romance novels that were so popular in the 1980s. That cover style continued through 1983. In 1984 the titles leveled out to horizontal and the embraces became more mutual, if you know what I mean. In 1993 the cover artists started experimenting with some even less traditional covers. 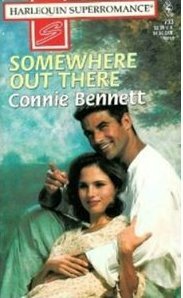 And as you can see, in 1994 the first cover of that year doesn’t even look like a romance. But there were still some classic covers offered that year. In 2006 some fascinating things started happening. Covers appeared without people on them. I bought this book because of the cover. I loved it. And now, as we head into 2012, more changes are afoot. Here are two April 2012 covers and as you see there’s a pull back, which I believe indicates the longer, more complex stories Superromance provides. I like the new look very much. I hope you’ve enjoyed this march through Superromance time as much as I have. I spent two long evenings happily researching covers. It was difficult narrowing the choices down to only a few representative examples--especially for the years 1993 and 1994 when the cover artists did such interesting work and offered such a variety of styles. I may have to do a blog later in the year dedicated to just to ’93 and ’94. I'm giving away a three-book set of my Too Many Cooks? release to a randomly chosen respondent. 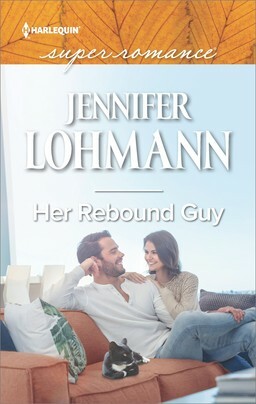 Please let me know what you think about the Superromance cover evolution. Loved the 'time capsule'. I found myself looking at hair & postures. I like the newer covers best, but that could just be because I am more used to them now. I definitely agree with you on favourite covers! Now I'm going to go looking for copies of those! I do like the direction the covers are moving in. It seems designers are finding the balance between portraying the family element of the books, the romance element, and the longer length. I don't need to have sixteen babies, a puppy and a happy couple in overalls to sell the book to me. I know what I'm getting, and I definitely love it packaged in the newer-look covers! 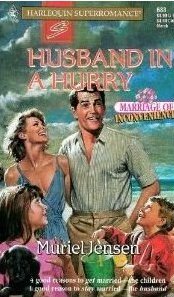 I enjoyed the walk through time with Superromance covers. I wonder what made the changes occur?? Did someone just decide it was time to change or did something happen to create the change?? Anyway thanks for the walk through time. I just finished reading Just Desserts and loved it. Marybelle--I hadn't thought about hair and postures, but now I'm going back through the covers--again--and inspecting these elements. Sonya Natalia--I really like the new covers, too, and agree that the art department has hit an excellent balance. The covers look a bit more mainstream to me, but still promise romance. Alina--I was surprised by the year, too. I was more surprised by the bullfighter though. Hi Cathryn--I love my Maddie cover, too. The hero looks exactly like he did in my head, which astounded me when I first saw the book. Ellen Too--As to change, I have no official answer, however, I believe that the art or marketing department are probably always looking at trends and sales, etc, to see what works, and I'm sure they do their best to keep the covers looking modern. There is something about these April covers that I find really appealing. I think they'll help Supers stand out and give an indication of what readers can expect. Thank you Jeannie for a very interesting look into the changes in covers. I have to admit I am totally drawn into the new covers,maybe is because the people are smaller and the scenery seems to call me to the moment there,and makes me want to know more about the book. Will be looking forward to them also. Hi Jeannie ~ This is a walk trough time for me. I do own a surprising number of the books you have portrayed. Book hoarder that I am. I think the Harlequin line that has undergone the least cover changes over the years is the Presents line. The part that I find interesting is the size and positioning of the author's name. I quite often look for author's name first when shopping for books. On the spine of the books the author's name has jumped around and changed in size a lot of times also. The only change that I didn't like was when the size of the Supers shrunk for a bit. I'm glad they went back to the higher word count. I love your cover choices and to see how the covers evolved over the years. Thanks for the walk down memory lane. I read THE BABY TRUCE over the holiday break and loved it! Looking forward to picking up UNDERCOVER COOK this week. Wow, thanks for doing this. Loved the trip down memory lane. Superromances were the first romances I read...mostly because they were bigger than the others. I loved them so much, especially since they seemed more exotic to me while still being rooted in everydayness. I really love these new April covers. LOVE them! They look sophisticated and complex with the same warm feeling we've always had. Here's to those covers selling lots of books! Cheers!!! Jeannie, wow! Great post. Thanks for all the hard work. The new covers look like a lot of fun and I never thought of a bullfighter as the hero. That book must have been fun to research. I have the 1996 book! The covers, banners, even the way the author's name is highlighted has changed. There are some that have the characters 'blurry'. I'm not so sure I like the newer covers 'the pull back' as you called them. Seems something is missing. Like the characters are too far away for us to connect to. But I'll decide for sure when I have one in my hands. So why the change to word count in less than a year? I know it's off topic, but over the years word count has changed, but not as much as the cover art. Just read thru the posts - seems I'm the only one not completely liking the new covers. I liked (I have no idea the term) when there were the words that explained what series the book is - like Count on A Cop, Going Back, etc. It is interesting how the covers have changed over the years. I thing the more current covers are great. Jeannie, this trip down memory lane was a real treat!!! I loved seeing the changes throughout the years. Thank you for putting this great blog together! There seems to be a classy serenity in the covers you've shown for 2012. Aunt Cheryl--The scenery is gorgeous on these covers. Very rich. I can't wait to see one in person. Kaelee--You're right-Presents hasn't changed much at all. I'll have to look at where my name is on the books I've written over the past 6 years (as of day after tomorrow--my Call anniversary). Tammy--Glad you enjoyed the walk. I really loved going through all the covers. Beth--I'm glad you liked The Baby Truce. Thanks for letting me know. When is your next book out? Liz--I know you have two covers coming up shortly--May and July, right? Now that the covers are changing, I'm excited to see the new months as they appear. Mary--I'm going to try to get a copy of Super #1 to read. It'd be cool just to have it. Marcie--I remember the blurry/soft focus covers and maybe should have put one in. As to the word count, the extra count allows us to explore subplots and perhaps include a secondary romance. In other words, it allows Supers to be super in both size and scope. I think it's so cool that you have the 1996 book. I'll have to look at my old Supers and see what I have. Crystal--There has been a lot of change over the past three decades. I'd love to see the Supers next to other novels of the same time period to see if they are similar in style. Mary--Classy serenity. I like that. Thanks so much for going to all that effort for us! I really enjoyed the trip down Memory Lane. I was recently going through hundreds of books in my TBR pile (yes, hundreds, because I read hundreds every year) and suddenly realized that some were older SuperRomances. I had no idea that they had been around that long, nor that their covers had changed so drastically through the years! The first book cover you showed looked like it belonged in the historical line (at least to me). What stood out, though, were the middle years with the darker covers. I don't like them as much as the brighter, more uplifting ones - you know - the ones with "classy serenity"! I really like that phrase! As for a bullfighter, I would never have guessed that. I would have guessed a doctor, as most books in the previous decades featured doctors or philanthropists (and women were nurses or caregivers). Oh wow the covers have really changed a lot over the years. I think I like the newer covers the best. Lots of changes. I'm not crazy about the April covers. There's a distance in the picture that makes me as a reader less inclined to pick up those books if I weren't already interested in the author's work or otherwise knew about them. But I like that the covers have evolved over the years. More realistic than dramatic and over the top. That's good. I absolutely love this post, Jeannie! Very nostalgic and interesting. Makes me want to collect old harlequins ;). I like those rather artistic 2006 covers too. As for Maddie Inherits a Cowboy, everytime I look at it I want to have the hero's coat wrapped around me...with the hero in it LOL. I loved that story. The oldest harlequin I have isn't a Super...it's a 1997 Sil. Int. Moments by Rebecca Daniels that my mom found in a pile of books given to her by a friend. Alas, I didn't read harl that far back. Wish I had! These covers (and others) would make very cool Harlequin wall calendars hint hint ;) (yep, I still use old fashioned calendars). What a fun post to read, I loved seeing the covers through the years. I really like the new ones, but my favorites were in 2006, I remember an Inglath Cooper novel with just an adorable little girl blowing out the candles on her birthday cake that immediately caught my eye because it was so unexpected for a romance novel. A fun start to my day. Thank you for your fascinating research. I didn't know that the blue line had a meaning. Loved the time travel. Thank you for your trip through time. I can just imagine how fascinating it must have been sitting there, sifting through covers and information. Did you have all this to hand, or did Harlequin supply the information to you? I too really like the new covers. 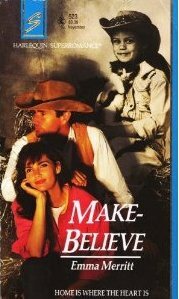 It amazes me how the marketing department and the cover artists know just how to convey the promise of the story and the line. Jeannie, thanks for putting that together. What a trip down memory lane! I love the new covers too. So interesting to see how the line has evolved. Laney--Hundreds in your TBR pile? You put me to shame. Again, I was surprised by bullfighter. I read a lot of Presents in the 1970s and a lot of heroes were lone Scottish Lairds, or Spanish Marquees. There was the occasional Greek or Austrailian. The ones set in Australia and Canada were my favorites. And yes, there did seem to be a lot of nurses and caregivers in those books. Virginia--I like the clean lines and colors of the new covers, too. Patricia--I do see what you and Marcie are saying about the distance. I like the more spacious look, but I can see where a nice close up of the couple is more initimate. Hey Rula--Yes, the covers would make a cool wall calendar. I loved the 60th anniversary Harlequin calendar. I think a lot of us took it apart and framed the photos. Snookie--I buy by blurb and author, too. I love a good cover--it makes me pick up a book--but I always read the blurb before making any kind of a decision. By the way--I'm glad that you enjoyed the first two Too Many Cooks? books. Summer--Those 2006 covers were interesting. One of my favorites was December 2005--Suzanne Cox's book with the boat. It was so moody and cool looking. Then there was the one with the letters spelling out BOY on the pregnant stomach...and quite a few more. I enjoyed going through that year. Linda S--I sure hope that's what the blue line means, lol. Toni--I found all the covers on my own. There's a website that lists the books by the number. I went through the list and searched for them on Amazon one at a time. As you can imagine, it took some time to get through thirty years. My husband kept saying that he really thought I should shut down the computer and come to bed. I was like, "Yeah, yeah, yeah--right after I find this next book..."
Beth--I'm looking forward to seeing your covers and reading your stories. Like I once told you, I read your books when I'm looking for inspiration. 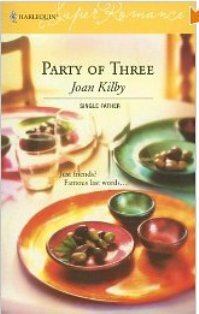 Joan--I discovered you through that Party of Three cover. I still have the book. Loved that story and I thought the cover was gorgeous. Awesome job, Jeannie. Made me smile. Thanks for the stroll down memory lane. Jeannie,I'm blown away by the difference in the covers. Thank you for giving us a glimpse of then and now. It's interesting. I'm not sure about the new covers. 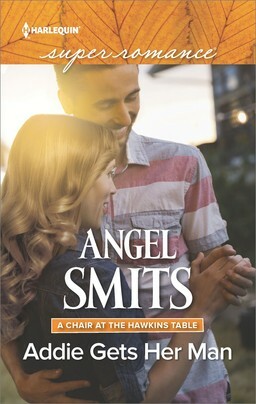 I love the sophisticated, single title look, but I'm wondering if readers will. I'm hoping yes. While a great cover might get me to pick up a book, I am more influenced by the back blurb in deciding what to buy. There are some ultra-famous authors I don't even bother with because they just have a giant glamor shot on the back. The one time I bought based on the cover alone, I was disappointed. That was before I discovered Supers. Now I pretty much could pick at random and find a good read. I also loved THE BABY TRUCE and can't wait to pick up the next two in the series. Hey Deb--Good to see you! Linda--I hope the readers like the new covers, too. They are definitely more mainstream, but I think there is a nice hint of romance in them. Kristina--So glad you liked The Baby Truce! I'm not big on the back cover glam shot either. I want to know about the story and a good blurb really helps. Jeannie--amazing job on this blog. Not just putting it all together, but the way you analyzed the changes was good. Fascinating stuff. 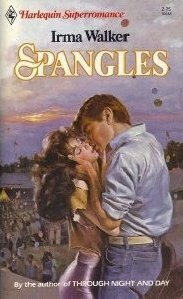 Now I want to read Spangles. The title has me hooked. I had no idea some of these folks had written for Super, either. Very cool. Thanks for this post. It was great. Jeannie -- thanks for the trip back in time!! 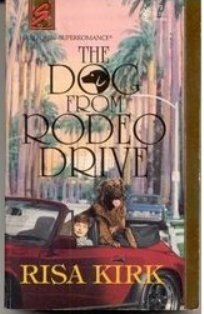 I do prefer the newer covers, but then that might be because I'm a more recent convert to romance and some of those 80s ones make me cringe a little! I guess it's important to keep things fresh and eye-catching, so it's good that Supers keep trying new things. Fascinating post, Jeannie. Thanks for that scroll down memory lane, with a glimpse into the future. Wow, that was a fun read. 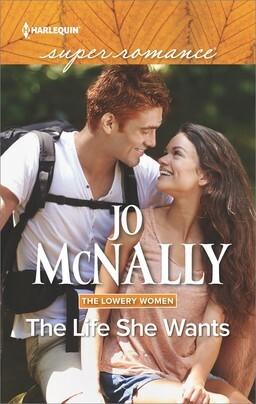 I really liked the 2006 covers which are less romancey - was it really that long ago they came out? Six years ago, yikes. I recall the spate of baby covers around that time, too. The new covers look great - really looking forward to seeing them. Fantastic seeing Super's cover history. Thanks for sharing, Jeannie. I am an avid reader and collector of the SuperRomance Series and every couple of months I get all my books out to look at all the covers again and again. It is amazing to see how much they have changed over the years. I do believe the cover plays such a big role in the book itself. I can't tell you how many times while reading the book (right in the middle) I flip back and look at the cover. Especially the people. When something is mentioned about one of them (eye color, hair color, freckles, etc.) I have to take a peek. I love to see now covers without people as well as with just parts, it leaves alot to the imagination while reading. I very much enjoyed reading your post about the Covers Through the Years! What another trip down memory lane. It is very interesting to look at one from then to now... So different, yet still the same..... They are all still captivating to me! Thanks for sharing!